Sum­mer­time, for many home­own­ers, is a time to live out­doors! The kids, and pets run­ning in the yard, grilling food on the grill, and enter­tain­ing! Our out­door liv­ing should meet the inside com­fort of your home. Mod­ern­iz­ing your out­door liv­ing space extends your home’s value! Enter­tain­ing out­doors is a fun way to con­nect with your loved ones. We have car­pen­ters ready to help you with upgrades to your deck­ing and out­door space. We are more than roof­ing! Let us fix any deck­ing issues, cre­ate updates, stair­cases, extend the deck area, paint­ing, and more! They can also update your wood­work, gut­ters, fas­cia, win­dow trim, and shut­ters. Always free estimates. We are more than a roof­ing company. We have two sid­ing part­ners. We install both Cer­tain­teed and James Hardie prod­ucts. The above pic­ture is Icon Com­pos­ite Sid­ing by Cer­tain­teed. This is a new prod­uct and rev­o­lu­tion­ary in exte­rior cladding. It has the look of wood with longevity that exceeds wood and fiber cement! Mar­shall has ser­vices in roof repair and replace­ment. Here are some tips of why you may need main­te­nance on your roof. The roof is over 20 years old. 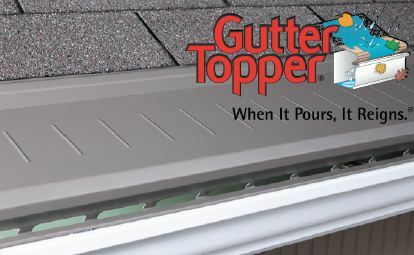 All About Gut­ters & Gut­ter Pro­tec­tion for the Rainy Season! Gut­ters pro­tect your roof, pro­tect your base­ment from flood­ing, pro­tect your home from paint dam­age, pre­vents mold and ero­sion and your land­scap­ing. Gut­ters play an impor­tant part in pro­tect­ing your home. Pre­pare for the rainy sea­son with new gut­ters, sof­fits and fas­cia options! We also have great options to pro­tect your gut­ters. We have a great prod­uct called Gut­ter­Top­per. It pre­vents your gut­ters from get­ting clogged with debris. Water is able to freely flow through­out your gut­ter sys­tem. The design is sleek and mod­ern. Tired of clean­ing your gut­ters? This could be a great option for you. As always our esti­mates are free. Our vision is brought to life with expe­ri­enced esti­ma­tors. Our esti­ma­tors have expert prod­uct knowl­edge and expe­ri­ence with match­ing the cus­tomer to the right prod­ucts. This, along with our sig­na­ture cus­tomer ser­vice, is what makes Mar­shall Roof­ing, Sid­ing & Win­dows, a name you can trust. Copy­right © 2016. All Rights Reserved. Remem­ber to check out our Gut­ter­Top­per prod­ucts. Keep your gut­ters clear and clean through the rain and wind! Clean and clear through­out the year! No leaves in the fall, and clear from the rain and the wind in the spring and summer. It has been rain­ing a lot lately. North­ern Vir­ginia and Mary­land roofs have expe­ri­enced a lot this year! Wind­storms, rain, and hail OH MY ! This is the time that leaks are dis­cov­ered, shin­gles have been blown off, and seals are bro­ken. But we are happy to let you know that your roof’s safety is impor­tant to us. We have ded­i­cated years to pro­tect­ing roofs in this area. Don’t fret if you dis­cover a leak, give us a call. We are here to help you! Some­times it can be an easy fix that does not require a roof replace­ment! 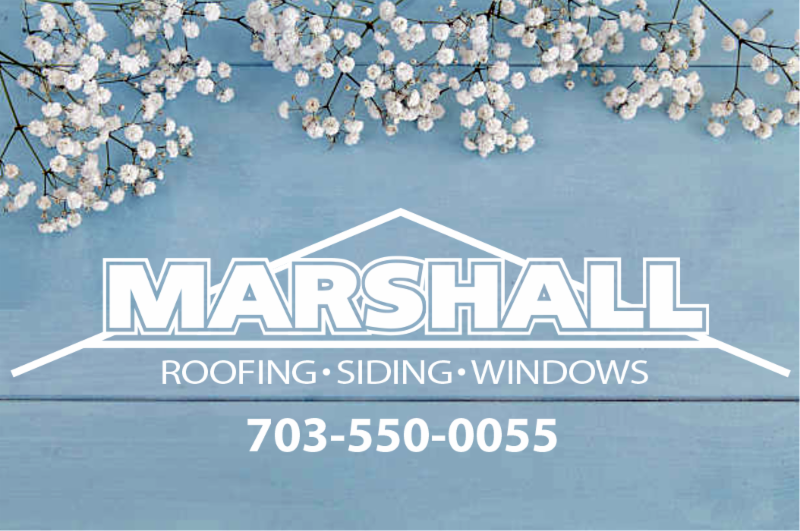 Be kind to your roof and call Marshall!!! Check out our lat­est blog on the impor­tance of attic ven­ti­la­tion for your roof! Bar­be­cue isn’t syn­ony­mous for unhealthy. 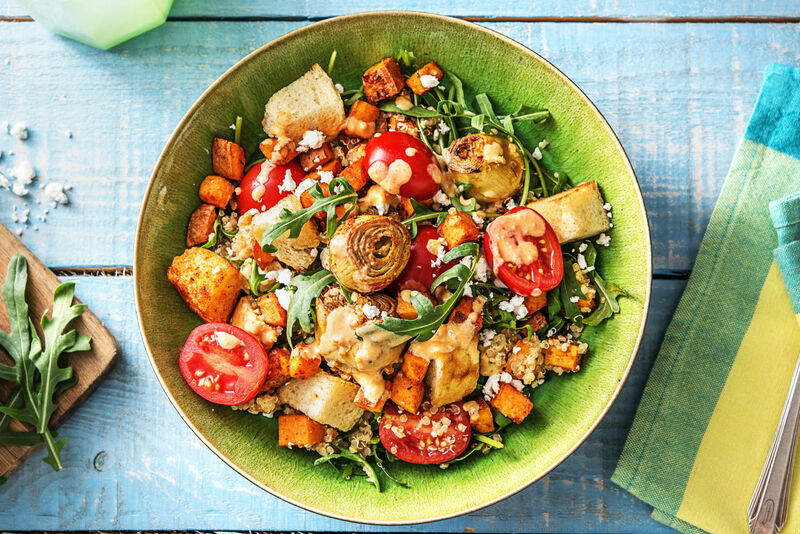 Try this fun and fla­vor­ful recipe from HelloFresh. Copy­right © 2018. All Rights Reserved. You are currently browsing the Marshall Roofing blog archives for June, 2018.